Event planning marketplace PartySlate specializes in helping people throw the perfect shindig, but this time the Chicago startup has its own reason to celebrate. On Wednesday, the company announced that it locked down $1.9 million in seed funding. Hyde Park Venture Partners led the round, with Hyde Park Angels and InvestHER Ventures also participating. Three Los Angeles venture capital firms were also part of the round: Jump Investors, Wavemaker Partners and Halogen Ventures. Julie Novack, CEO and co-founder of PartySlate, said the funds would be used to expand into new markets and for hiring. The startup plans to launch in 10 new cities. To do that, it'll need to increase the size of its team, which currently sits at 12 full-time employees. "We're looking to hire five or six more people over the next year," said Novack. "The money is going towards developers, salespeople and marketing." PartySlate’s platform is visual-based, with high-quality images from events thrown by professionals serving as inspiration for users. Novack said 150,000 images have been uploaded to the platform so far, and videos can now be uploaded as well. However, PartySlate is more than just a party-focused Pinterest. It takes things one step further by tagging the people and companies who made each photo possible. These credits make it easy to find the photographer who took the photos you’re drooling over, or the building where the party you wish you went to was held. Event planners, venue managers and vendors alike can sign up to showcase their work on PartySlate. Creating an account is free, but paid memberships with increased promotional opportunities are also offered. 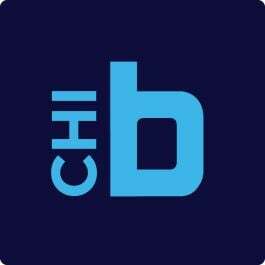 PartySlate CEO Julie Novack told Built In Chicago that there are currently 2,000 registered event professionals on the site. Its goal is to add another 1,000 by year's end. Correction: The original version of this story stated that PartySlate has raised a $3 million seed round. The seed round was $1.9 million, bringing the company's total funding to $3 million. The article has also been updated to reflect that Hyde Park Venture Partners led the round, with participation from Hyde Park Angels and InvestHER Ventures. We regret the errors.